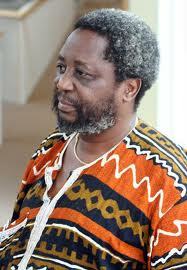 Zimbabwean author, poet and commentator Chenjerai Hove passed on in Stavanger, Norway on Sunday. The author who was born in Mazvihwa in 1956 leaves a wife and six children. Hove and began life as a teacher before working as editor for Mambo Press then onto devoting his life to writing. His works include Masimba Avanhu (1986), Up in Arms (1982), Red Hills of Home (1985), Bones (1988), Shadows (1991), Ancestors (1994), Shebeen Tales (1994), Guardians of the Soil (with Ilija Trojanow) (1996), Rainbows in the Dust (1998), Palaver Finish (Zvakwana) (2002) and Blind Moon (2003). His first novel Bones won the Noma Award and was translated into Japanese, Dutch, Swedish, Norwegian, German and French and affording Chenjerai Hove travel to many countries as a visiting writer at festivals and workshops. I’m very saddened this Monday morning to learn of the death of my very good friend, Chenjarai Hove! I first met Chenjarai in the late 90s, I think 98 0r 99, in Harare, where I used to go every year to participate in the book fair. Chenjarai always remembered my birthday (which I used to celebrate in Zim because it coincided with the book fair dates) – and those days, there was no FB to remind you! And my gift from him was always a book. Subsequently, over the years, I found myself in Chenjarai’s company, when we would be fellow participants in writers events: in France, Germany, Netherlands, UK… sometimes we would disagree on a panel, but he would later give me that big, bear hug and everything would be okay afterwards. One time I hid his snuff box, just to wind him up because he was being so difficult with everyone at the conference, and he was so angry with me and threatened never to speak to me again. But of course he did- when we met again in the Hague for another writer’s event. There were only three of us African writers- me, him and Yvonne Vera (RIP) and he took it upon himself to look after us; going out in the cold (I think it was Dec) to bring us a Chinese, because we were tired of hotel food. The last time I saw my friend again, he was living in Norway in Exile and he was complaining of the cold there. Even the people are cold, he grumbled, and I can spend up to six months without talking to anyone. I will miss you, dear friend. You taught me a lot about writing and being a writer. You taught me that a writer reads. I will take comfort in the many books you bought me, and many of yours, (all autographed), and treasure them even more. Safari Njema, Good man. Fifty nine seems way too soon for you to be gone but we have no say in death. Go well to that big library in the sky. And thank you for the gift of your works. Today, I’m closing myself in, re-reading your novel Shadows as I celebrate your work. Very sad to hear that Chenjerai Hove has passed away in Norway. I first met him under the very cold, grey, and drizzling skies of Oslo in 2009. Ask Petina Gappah, Binyavanga Wainaina, Chimamanda Ngozi Adichie, Tolu Ogunlesi, Chika Unigwe, and they will tell you the story about that week in Oslo. Binya promised to write about it. Chenjerai, what a great man. We called each other mngani wami (my friend). Before I met him in person, I had read and loved his novels, Bones and Shadows. They were some of the prescribed novels in our African Literature class in the mid 90’s at Wits University. Sad, sad news. RIP Chenjerai Hove. When I take up my pen to write, I feel the strength of standing up and refusing to be silent. In an oppressive situation, silence is death.” — Chenjerai Hove. What light is gone from our world. Rest in peace, my brother and friend. Thinking of you bra Chengerai, and remembering you and your work which matters so much to ur continent. Rest in Peace.